The organisers of Lockex 2018 – Security & Fire Safety would like to remind all locksmiths, auto locksmiths, security specialists, fire safety officers, architects, designers, planners, and specifiers that this June’s event at the Ricoh Arena, Coventry is not your ordinary trade show. Therefore, if you were expecting a weekend of irrelevant exhibitors and stands that exist only to promote themselves with nothing in return for the visitor, three precious days off wasted and leaving with an empty wallet, wishing you’d stayed at home with the family – or worst – worked instead, then please do not come to Lockex 2018, this is not the show for you. If, however, you prefer an industry event that listens to its visitors and exhibitors, monitors current events and responds to them accordingly, features the biggest and best names from the locksmith, auto locksmith, security, and fire safety sectors, offers all-inclusive packages to its stand holders and lets the visitors leave with more than they came with; free parking, free meal tickets, free goody bags, exclusive raffles and competitions – tool kits, champagne, cash prize draws, super car driving experiences to name a few – plus free training workshops and seminars, working demonstrations, product launches, key note speeches and a ‘Pavilion of Trade Bodies’ dedicated solely to the advancement and development of the visitor’s own career, and it’s been meticulously planned to avoid any major sporting event taking place this year, then sure, maybe, this could right for you. 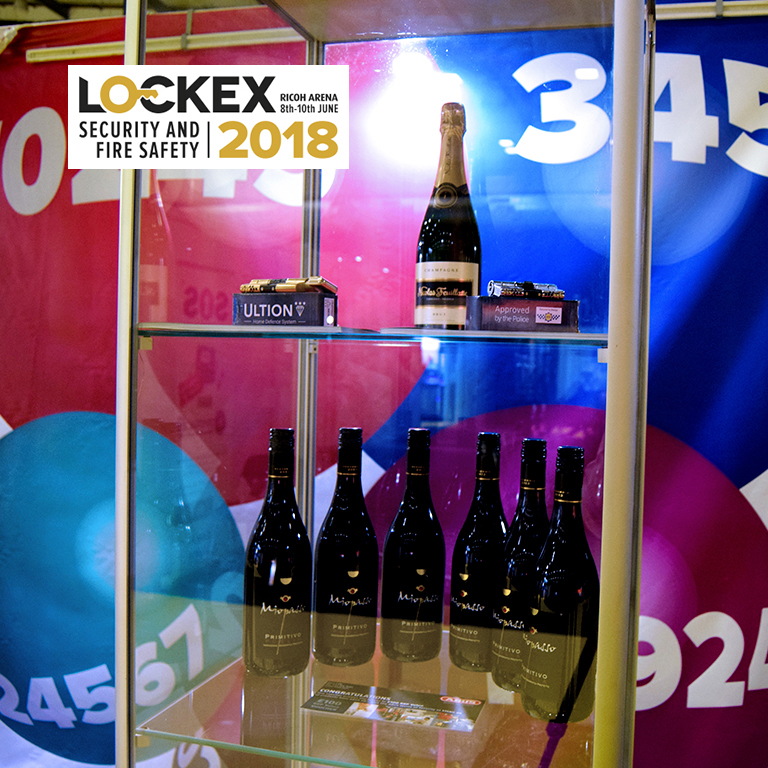 Lockex 2018 – Security & Fire Safety promises be a one-stop-shop for everyone in the industry of the latest designs and developments from across the globe. Exhibitors from all over the UK – and indeed the world – from Aldridge to Yale and everything in between will be hosting live demonstrations, displaying new products, and offering genuine free prizes and competitions. The Lockex team has taken all the key parts from the first event – well organised, visitor-orientated, industry relevant and an exhibition that was actually enjoyable – plus added some extra aspects to make sure newcomers and past guests alike will be satisfied. While the show may have expanded its reach – to reflect the ever-increasing concerns and considerations of security and fire safety – there will be no compromise on the quality of displays, demonstrations or exhibitors at the event. From the breakfast butties on arrival and free parking, to the jam-packed schedule of training seminars and live evening entertainment, Lockex isn’t a show that’s going to waste your time and sting you with hefty parking charges and overpriced food and drink. In fact, it’s the show visitors can’t afford to miss. The reimagined workshop space right in the heart of the Ricoh Arena, with eight demo zones and staging for the official key note speaker Neil Vann, means visitors won’t have to miss a moment of the show by walking out of the exhibition to attend their free seminars (plus exhibitors will get more traffic to their stands). The new 72-square metre ‘Pavilion of Trade Bodies’ will be hosting organisations such as the GAI, DHF, NSI, FDIS, SSAIB and UK Construction Week with representatives from all regions on hand to discuss CPD points and the latest certifications, compliance, and career options. And finally, Lockex 2018 – Security & Fire Safety has teamed up with Fix Radio – the UK’s first radio station for tradespeople – to make sure the Ricoh Arena will sound just as good as it looks!